Do you love soccer, are you competitive, do Unified Sports intrigue and excite you?? 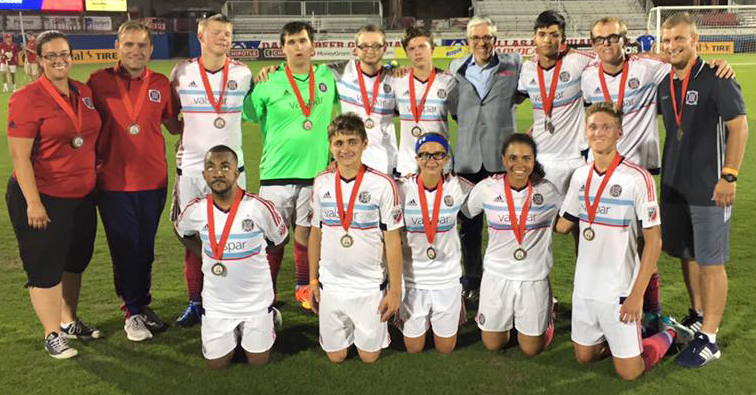 Come try out for the Chicago Fire Unified Soccer Team! This is a Once in a Lifetime Experience! The team will consist of both Special Olympics athletes and peer partners working together to achieve one goal – VICTORY! To sign up for the try-outs, please read the information sheet located below and then fill out and turn in the application to Jen Marcello at jmarcello@soill.org by February 14, 2018.